APSamsung Mobile CEO J.K. Shin could be on his way out. 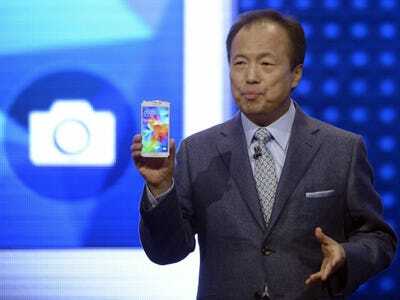 The Wall Street Journal published a gloomy report about Samsung Monday. Following disappointing smartphone sales and a third-quarter profit decline of about 60%, the company is considering a shakeup of its top executives, including replacing J.K. Shin, the CEO in charge of the mobile division. And since its most important phones like the Galaxy S5 aren’t selling well, Samsung may shift its focus to new product categories like smart home appliances to reverse its fortunes. However, a failure to explore new product categories isn’t why things look so bad for Samsung. For the last three years, it was able to fill a big gap left by Apple: It made cheaper smartphones that were pretty good and sold them in big markets like China where Apple didn’t have as much of a presence. But things have changed. Apple now sells the iPhone on China Mobile, the largest carrier in the world with over 700 million subscribers. Apple also finally caught up to the rest of the industry and started selling phones with large screens, the 4.7-inch iPhone 6 and 5.5-inch iPhone 6 Plus. On top of that, several other Android phone manufacturers have caught up to Samsung and started selling phones that are just as good but cost about half as much. 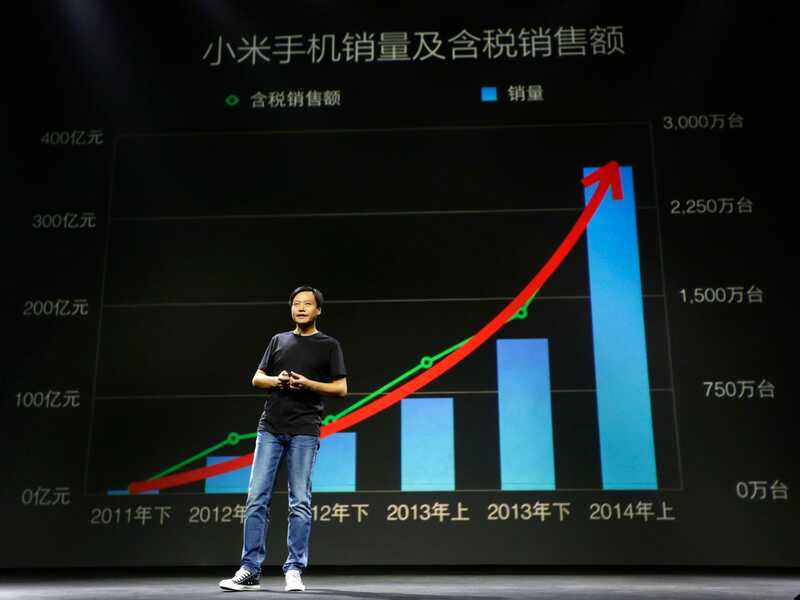 For example, Chinese startup Xiaomi has grown to be the third-largest smartphone seller in the world in terms of unit sales. And that’s the biggest reason why Samsung is slipping. Its mobile business is still very profitable, but those profits will continue to crater unless it can figure out a way to differentiate its phones from the Xiaomis of the world. There’s very little difference between Xiaomi’s best phone, which costs a little over $US300, and Samsung’s best phone, which costs about $US650. Which one would you choose? So far though, it doesn’t sound like Samsung has many good ideas to differentiate its devices. There’s talk of creatingbendable smartphones as early as next year. And this month, it releasedthe Galaxy Note Edge, a $US950 phone with a curved screen that doesn’t add much to the overall experience. Samsung’s best bet would be to innovate on the software side of things and find new ways to offer unique services that other Android phone makers can’t. That’s a tall order, but it’s probably the only thing that can turn around Samsung’s mobile misfortunes.